Join 64Door to buy quality doors! Oak is a warm light tan-brown colour: the perfect way to enhance the look and feel of your room. The balance between dark and light of this colour makes it very versatile and easy to match with the rest of your interior. Oak is a warm light tan-brown colour: the perfect way to enhance the look and feel of your room. The balance between dark and light of this colour makes it very versatile and easy to match with the rest of your interior. All our interior doorsets are designed for a long lasting performance and easy installation. The design of the oak door set looks great in both traditional and contemporary style homes finding the perfect combination of trend and function. The oak doorset is available in a semi-solid panel, we use a honeycomb core. 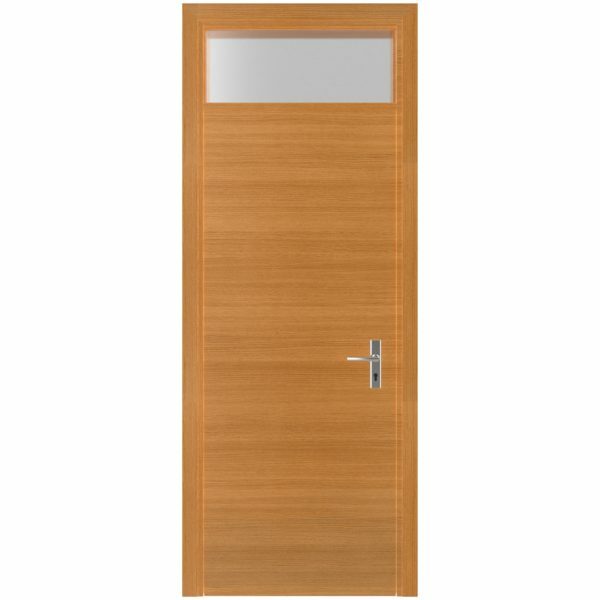 It is a popular choice for interior doors as it is lightweight, which reduces the risk of the door sagging. Also available in solidwood panel that provides a wide range of design flexibility for your architectural needs.You will be adding a beautiful entrance to any architectural opening. Frame extra: PVC/Rubber seal (for sound and weather proofing), no threshold. We olso offer the opputunity to switch out ironmongery to your choosing. Do I have to buy locks and hinges separately? No. All 64door Factory doors come fitted with the specific locks and hinges you choose. We also provide the doorframes which are also customized to match the doors you have chosen. Doors are delivered as a complete package and installation may be arranged as you choose. Who will install my doors? Doors can be easily installed by yourself. All parts needed and instructions to install a door come with the set, simple tools might be needed. If you wish we can arrange for certified installers to come install your doors throughout Kenya and Tanzania, contact us for more info. What are your doors made of? All of our doors are built with natural materials, from solid wood to components based on wood. Shipping can be bought from us, rates depend on region and number of doors. Self pick up is possible. 64Door Factory has offices in Kenya and Tanzania.